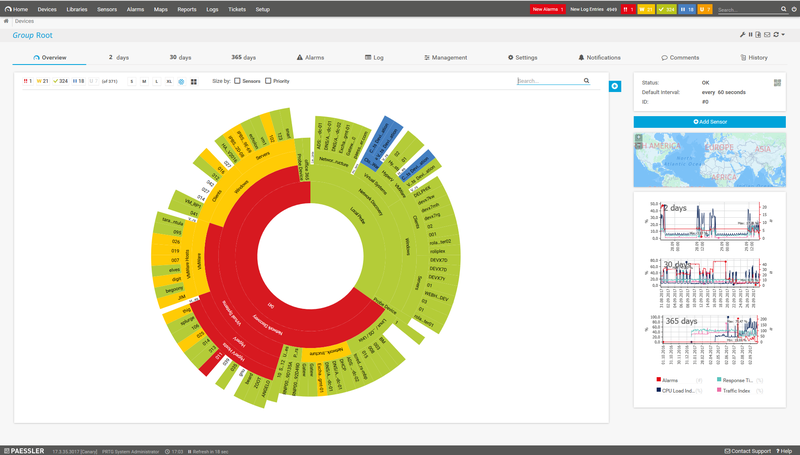 If you are in search of a network monitoring tool, then you probably want one that features a comprehensive overview. 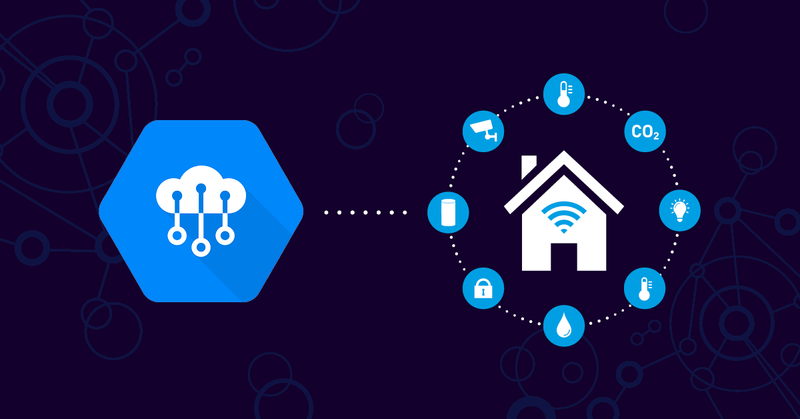 You'll want to monitor the whole of your IT infrastructure. It starts with switches, routers, and the firewall, and includes workstations, servers, and any number of preconfigured devices, such as VMware. 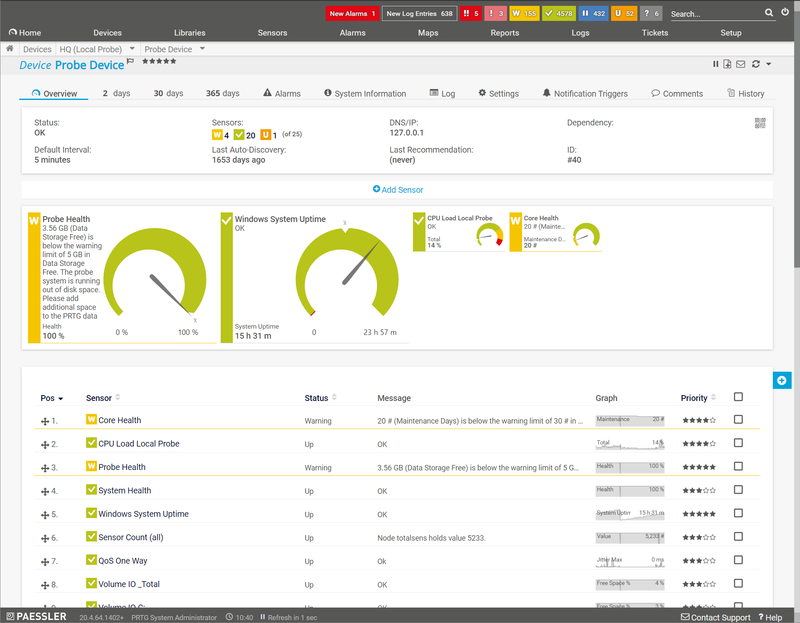 As an administrator, you need a centralized tool (see above) to monitor your entire IT infrastructure or network elements. And you need to be alerted of emergencies immediately so you can get on with your work with peace of mind. 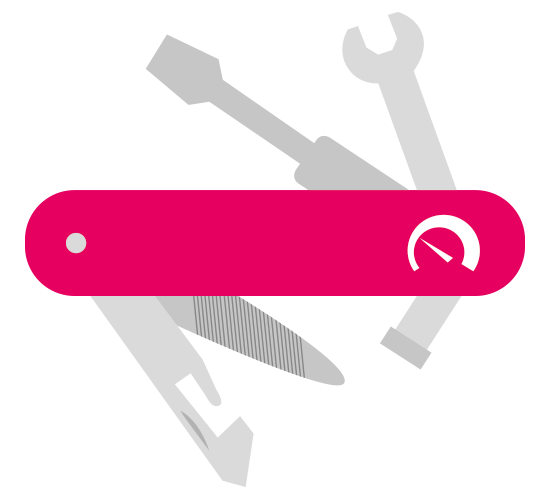 PRTG is a tool that features centralized monitoring. The dashboard is the central interface upon which everything is summarized, providing the administrator with an overview at all times. Threshold values may be customized according to your needs. PRTG thus notifies you before problems arise. An example: If the administrator is informed well in advance that a hard drive is running at full capacity, then he can react before his colleagues have a chance to complain. The emergency situation does not even occur. In short: The administrator saves both time and energy. If you are in search of a network analysis tool, then you probably already have a specific problem you wish to analyze. An example: As an administrator, you wish to perform an analysis of the network to determine the extent at which lines are utilized on certain business days. Or the network load continues to increase due to additional staff, and you would like to figure out ahead of time when you will need to expand the network's capacities. 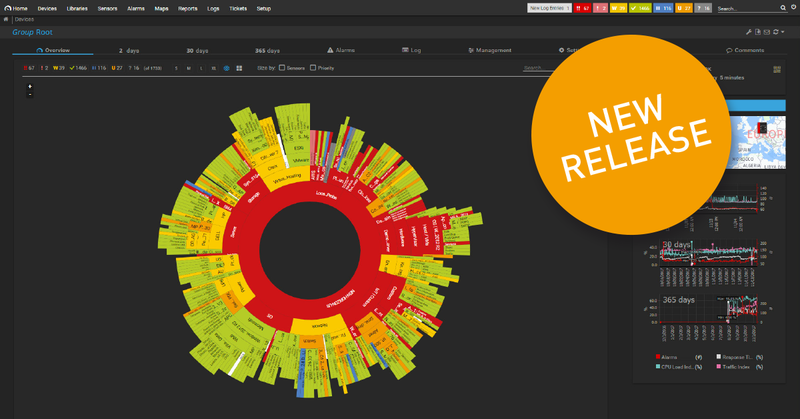 With over 200 sensors and ready-made device templates, PRTG offers an extensive range of possibilities for analyzing your own network e.g. bandwidth monitoring. For administrators, it is a strategic planning tool - and therefore one that strengthens their role in companies and organizations. Administrators can proactively tackle important IT issues and provide documentation supported by facts and figures. For network diagnostics, professionals are in high demand. Here it is often a matter of incident management. In other words: the house is on fire. Administrators analyze certain elements in detail. 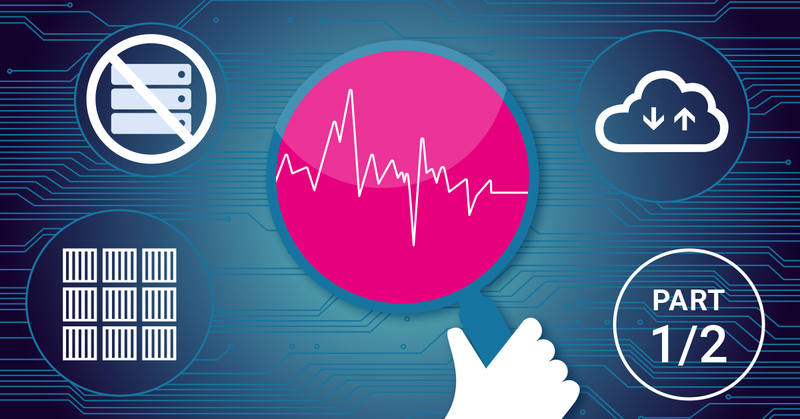 Network diagnostics is frequently driven by important problems whose causes are unknown. An example: The online store is too slow - but why? Thanks to its comprehensive monitoring, PRTG facilitates complex searches. Administrators can already safely say in advance which segments are not the problem. 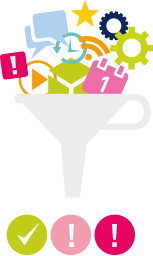 You'll be able to localize possible causes more quickly - instead of looking for the needle in the haystack. IT managers save a lot of time and can fix the problem faster. PRTG also provides important fundamental structural information. 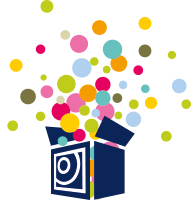 Let the network monitoring software PRTG work for you. 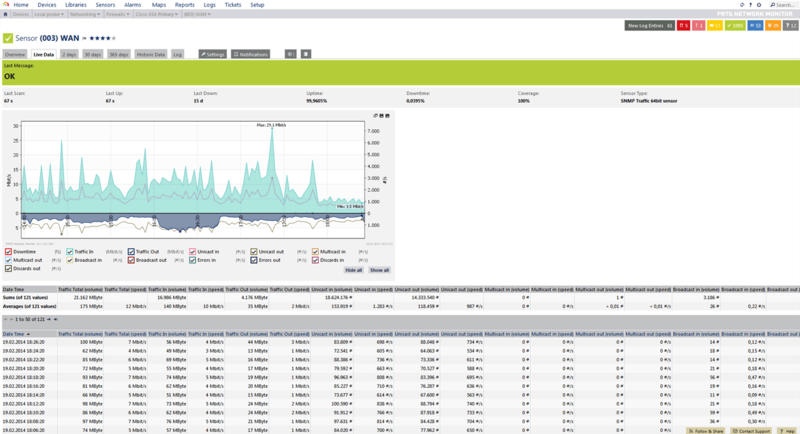 With PRTG, you get one central monitoring tool for your entire network. Switches, routers, servers, workstations, devices, and everything else in your network: Enjoy quick, individual overviews thanks to our dashboards and apps. PRTG is fast and easy. More than 200 sensors and ready-made device templates make it easy to get started with network monitoring - or switch from another tool. Many administrators are yet to own a network monitoring tool. What often happens is that networks gradually begin to expand but administrators have other things to worry about which are more pressing. 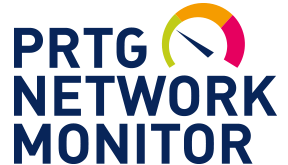 The important yet rarely urgent issue of network monitoring is therefore pushed into the background. Until suddenly a problem arises - such as a massive system failure - sparking a time-consuming search for the bug. Usually, a mad dash to find freeware or free tools begins. PRTG provides for flexibility when getting started. The trial version is for free. 100 sensors stay free forever. Administrators can therefore get to know our network monitoring tool without having to pay or worrying about a contract coming to an end. If you wish to work with more sensors, it's a cinch to supplement PRTG. PRTG is installed in just two minutes and customized in a few short hours. As administrators, you already have a network monitoring tool. But many tools on the market are complex and difficult to maintain. In no time at all, the tool is no longer up-to-date, because new network elements are no longer incorporated into it. Sometimes changes in personnel occur - and there is consequently nobody on staff who knows how to get the tool working quickly. 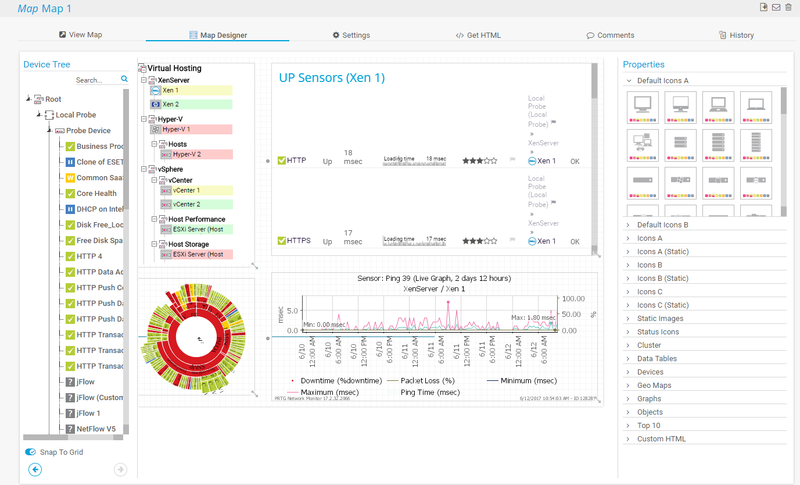 The delightful intuitive network monitoring tool PRTG features a number of preconfigurations, including nearly 200 sensors and ready-made device templates. In addition, an Auto Discovery feature automatically searches the network and installs sensors. A migration is therefore possible in a matter of a few hours. The transition is easy and can take place a lot faster than getting the hang of the previous, cumbersome tool. Alert features are included, and licenses are modifiable as the situation requires. As administrators, you already have tools for your network monitoring, analysis, and diagnostics. Your problem: you use a mishmash of several distinct tools. As administrators, you have to learn the ropes of many different tools, all of which have their own strengths and weaknesses. And you need to keep an eye on - and maintain - all of the tools at the same time. This costs time and energy. PRTG is a centralized tool for the entire network for which an administrator is responsible. All it takes is a quick look at its dashboard or app. Administrators who use PRTG say they finally have some peace of mind. Gone are the days of always having a guilty conscience or feeling uneasy because information is missing. For administrators, network speed is a key issue which garners a great deal of their attention. It is no surprise that the phone begins to ring as soon as the connection goes down. Colleagues, customers, and partners cannot work with slow service. PRTG offers pre-customized sensors for measuring every aspect of network speed. Using a network monitoring tool, an administrator seeks to learn, for example, how much traffic passes through a certain port. Sensor tip: The "port sensor." With network analysis, ports from several routers are analyzed and the entire route is considered. Sensor tip: "similar sensors," which analyze similarities. Network diagnostics, on the other hand, is all about the detail. An example of network diagnostics involves the analysis of specific data packets to determine if network speed is paralyzed by certain large packets. Sensor tip: The "packet sniffer sensor," for gathering data streams. PRTG features a variety of alert types: E-mail, SMS, Pager, Apps, running an external application, etc. You can specify when and how each person is to be informed about network issues. To do so, you can add contacts and edit, delete, or pause your notifications at any time. PRTG won't wait to let you know if "VMware is on fire." You define your own thresholds. If these are crossed, you'll receive a corresponding notification. This means you can intervene promptly before clients or coworkers are aware of any problems. You are surely faced with the task of comparing the various tools on the market. A tool's features and price play important roles in this process. Many administrators start by looking for network monitoring tool freeware. PRTG offers a free trial version. In this way, administrators can get acquainted with PRTG without having to spend any money. Licenses are extremely easy to modify in the event your overall network or infrastructure grows. Your monitoring tool also effectively adapts to the growth of your company. It is a long-term solution. More on our licenses and prices. PRTG has performed extremely well in countless tests. We are almost always amongst the frontrunners. German to the core, we only offer the very best in engineering quality. And we work hard every day to improve our product. Read here how PRTG has performed in tests. Globally, IT system failures cost companies several billions of dollars. Even in medium-sized European companies, IT system failures incur costs amounting to several hundreds of thousands of euros. Save money with PRTG! 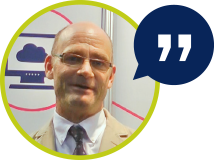 Our customers report they have improved their network management and reliability significantly thanks to PRTG. Read more in our ROI white paper. Whether in the USA, Europe, or Asia: PRTG is growing year after year and is since used worldwide by more than 200,000 administrators. Read our case studies to find out which companies and organizations rely on our services. 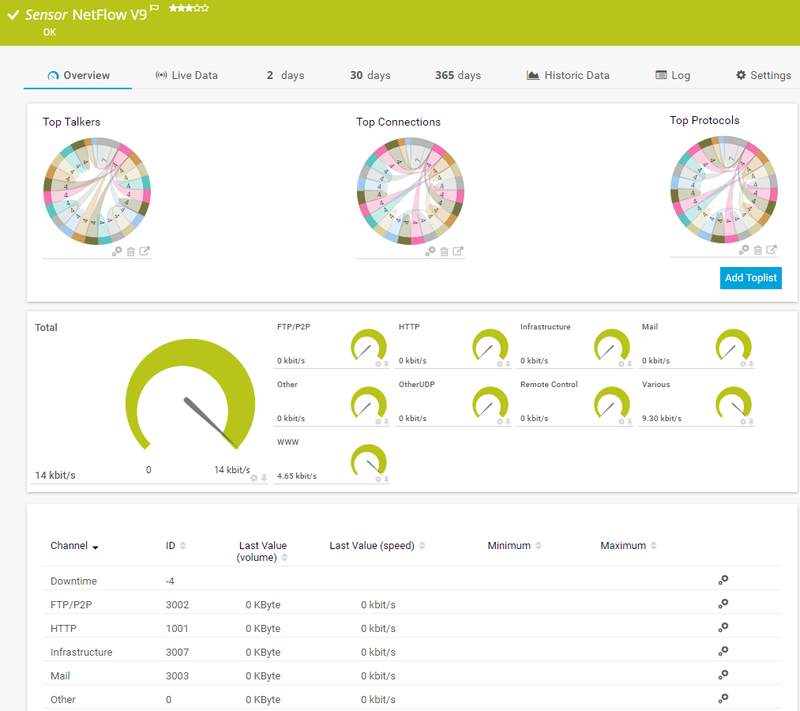 Flow Monitoring: Get a holistic view of your network, keep an eye on your network traffic and what your bandwidth is being used for. 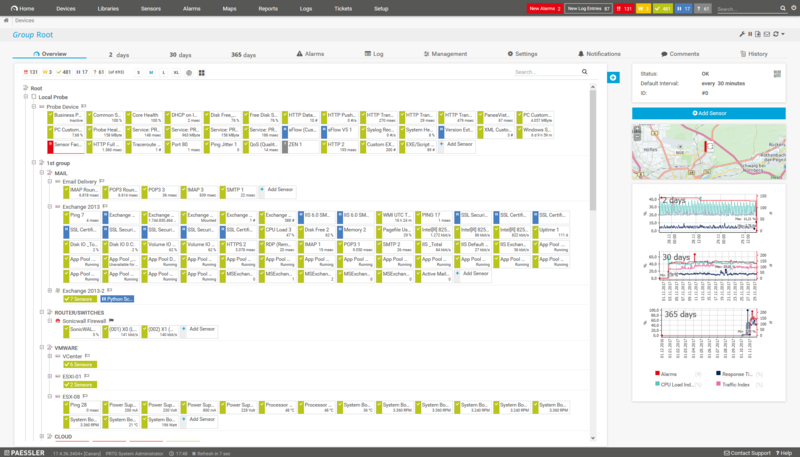 PRTG supports all important Flow protocols like NetFlow, sFlow, jFlow, and IPFIX.